We have recently discovered the world of Bayard Magazines and my kids are loving their monthly issues. 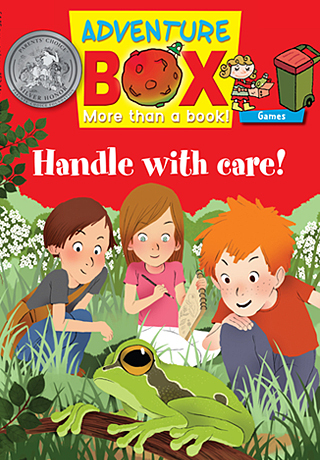 Bayard publishes three different magazines: StoryBox magazine (for kids aged 3 to 6), AdventureBox Magazine (for kids aged 6 to 9) and DiscoveryBox (for kids 9 to 12) in an effort to support children of all ages with their learning and reading. Each magazine is filled with age-appropriate stories, poems, activities and games which teach kids a variety of subjects. Educational and entertaining — always a win/win combination. I really like StoryBox. My son has had a gift subscription (thanks Uncle) for the past 2 years. He enjoys opening his package every month and reading his magazine. We live in Spain so english reading material is always welcome. Some exciting changes to come...!